The Greek economy remains in recession while figures for the rest of the euro zone have taken a positive turn with growth on the horizon, as new Eurostat data released on Tuesday show. Unemployment is at its lowest in eight years across the 19 euro zone countries, with Greece showing disturbingly high figures, according to the European Union statistical authority. Greece remains mired in debt and economic woes, with unemployment remaining at an alarming 23 percent, according to October figures, while in December the euro zone average was 9.6 percent, the lowest since 2009. 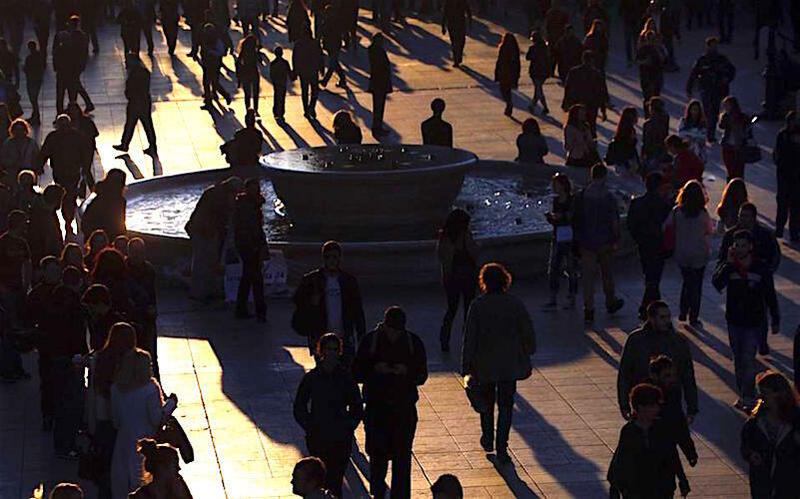 The unemployment for Greek youths under 25 was at 44.2 percent. Also Eurostat says that euro zone growth went by a quarterly rate of 0.5 percent in the fourth quarter of 2016 compared to the previous three-month period when growth was 0.4 percent. The quarterly growth rate was the same as in the first quarter of 2016 when growth was also 0.5 percent. Overall, the euro zone economy expanded by 1.7 percent in 2016, Eurostat says.